If you click the coloured information of the horse that you are betting on then the correct lay stake will be copied in to your computers clipboard. So when you go to Lay the horse at Betfair you simply need to press ctrl+v (command +v when on a Mac) when entering your lay stake. 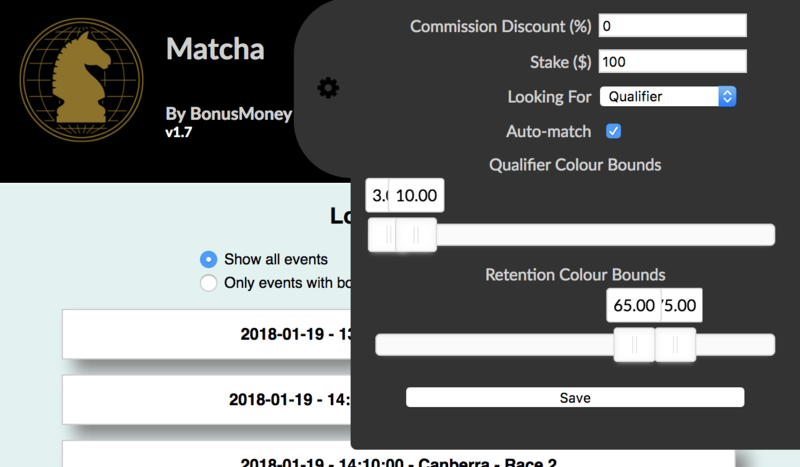 In the load tab set you can choose to display all events currently in the Matcha or to only show events and bookmakers that have promotions on in that event.